A wonderful group of plants, and not widely appreciated enough. Quite unlike the half-hardy frost tender plants that we normally call geraniums (properly called Pelargoniums). 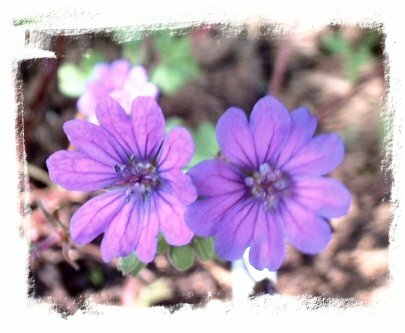 The common name "cranesbill" comes from the shape of the seed heads after the petals have fallen off that are in the shape of - a crane's bill, (and head). 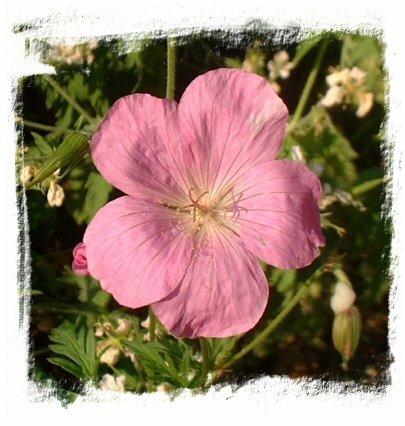 Hardy Geraniums are the true owners of the name. Unlike the half-hardy Pelargoniums, they come in shades that also occupy the blue-end of the spectrum spreading towards pinks and white but without the deep vivid reds. The plants are tough and resilient, many are herbaceous perennials that die down in winter and flower again year after year with very little care and attention being necessary to keep their wonderful display going. They grow from about 6" (15cm) to 4ft (120cm) tall depending on variety. They are at their best around mid June. The rest of this article comes courtesy of Paul Young to whom I am very grateful for allowing me to use his words and fabulous pictures. Hardy Geraniums and I first became acquainted back in 1984. I had just bought my first house and, as you do, started filling up the garden with every plant that I could find at the local Notcutts Garden Centre. Of course, I knew nothing of gardening then and choice was determined by nothing more than the picture on the plant label which resulted in planting disasters on a very big scale, how was I to know that Gentiana Verna wouldn't grow in my damp, shady alkaline soil and that half a dozen Mimulus plants would go down without a fight in my baked, sunny front border ? The one success was a plant that simply mushroomed into a dome of lush green leaf, soon followed by a profusion of the most amazing rich blue saucer shaped flowers. 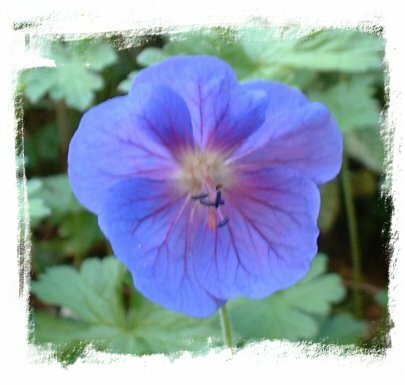 Geranium "Johnson's Blue", it was love at first sight ! A quick trip back to the garden centre found more Geranium varieties and so the love affair began to flourish. Despite moving house twice since, leaving vast numbers of plants behind on each occasion, the current collection of Hardy Geraniums is now in excess of 200, and growing ! I'm often asked why Hardy Geraniums. Well the quick answer is, easy to grow, easy to propagate, good flowers, long season. There's also the fun of discovering more varieties, stay with your big national Garden Centres and you'll encounter Geranium "Johnson's Blue", Geranium endresii "Wargrave Pink" and one or two other mass produced varieties but head off to any of the smaller Cottage Garden Nurseries and you'll discover the true gems of the species, and there are many of them ! 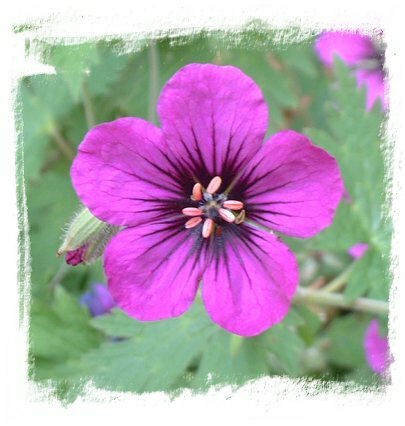 Look out for Geranium sylvaticum "Mayflower", as the name suggests, a May flowering Geranium and most definitely one that no gardener should be without. From a platform of stately and rich green foliage the plant produces clusters of the most eye-catching mauve-blue flowers with a distinct white eye, one that certainly stops the passers by ! Most gardens have an awkward dry shady spot that simply defeats every effort to cultivate it, often close to the base of large trees. Well don't despair because there are Hardy Geraniums that will thrive there. 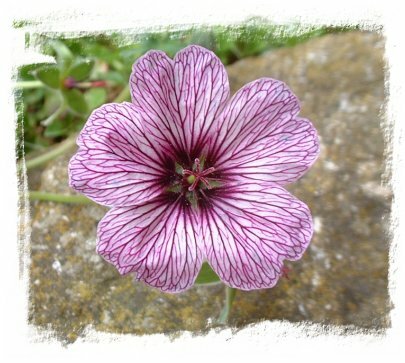 Look out for any of the Geranium phaeum varieties, all of which will flourish in the toughest of shady conditions and all of which will produce an abundance of small inverted flowers ranging from the pure white of Geranium phaeum album to the rich dark purple of Geranium phaeum "Lily Lovell". 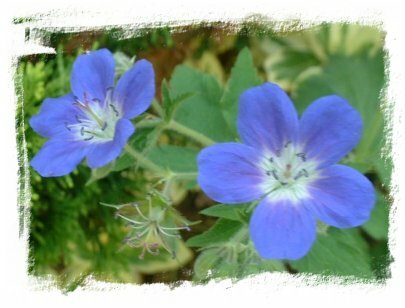 A better solution still is to seek out Geranium nodosum which produces a denser mat of glossy dark green foliage supporting soft purple, upright and funnel shaped flowers. 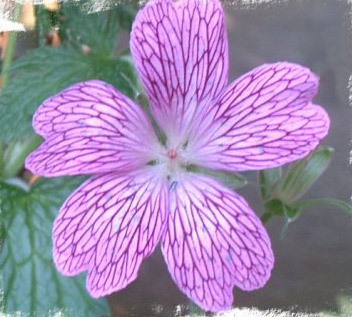 For pure spectacular effect, look out for the better of the Geranium oxonianum cultivars. 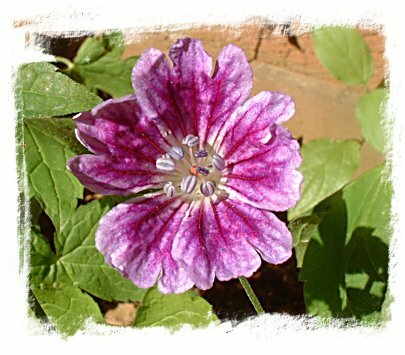 Oxonianum is a generic name given to the prolific offspring of parents Geranium versicolor and Geranium endresii and, believe me, there are many of them. 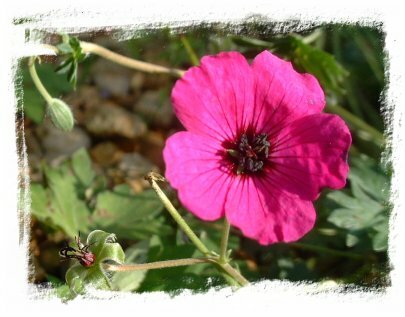 Most smaller nurseries will offer a range of Geranium oxonianums with only the trained eye being able to determine the slight variation in flower colour. All varieties will have a base flower colour of very soft through to mid range pink and an intricate veining on the flowers ranging from near white through to very dark purple, there are endless combinations. If you want to catch the eye, you'll find no better than Geranium oxonianum "Hollywood" and Geranium oxonianum "Julie Brennan", both of which are big plants, up to 4' tall and both of which produce the most striking combinations of flower colouring. 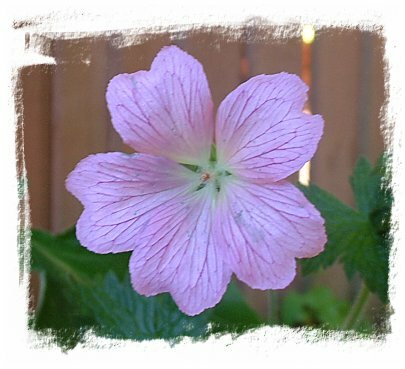 If you don't grow Hardy Geraniums, start doing so and surprise yourself. If you do grow one or two of the more common varieties, check out some of their lesser known comrades and prepare to be impressed.If you want further information on the species or want to exchange your own experiences, you can contact me via my garden website where you can also check out some of the spectacular varieties that dominate my garden.